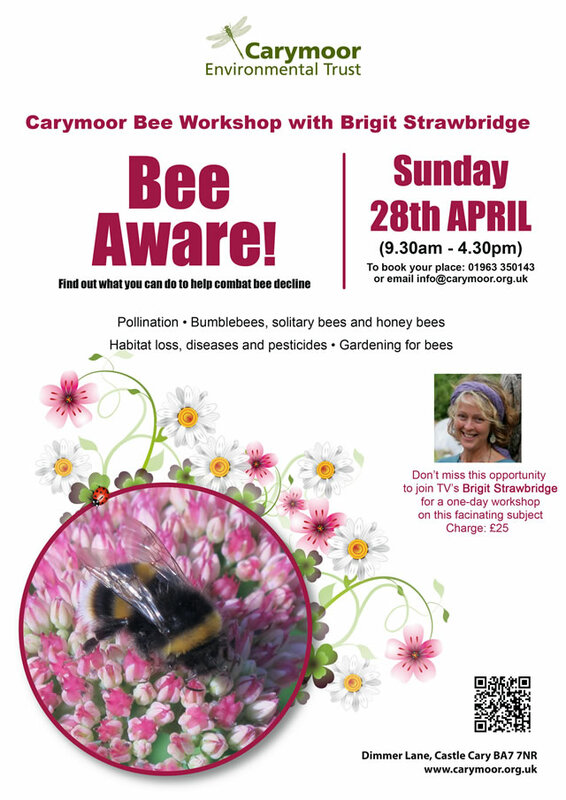 Join TV's Brigit Strawbridge at Carymoor Environmental Centre for a one-day workshop on the fascinating subject of bees on Sunday 28th April from 9.30am until 4.30pm. 'Bee decline' is well covered in the media. However, there is insufficient information about the causes for this decline, the fact that it is not just honeybees that are being affected, and - most importantly - the solutions. This one-day Bee Aware workshop covers these issues and much more besides, in an in-depth, accessible and extremely enjoyable way. Brigit will talk about the importance of (and difference between) honeybees, bumblebees and solitary bees, the problems they all face and what you can do to help them. 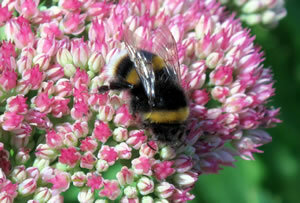 The workshop will include lots of fascinating information about the behaviour and life cycles of bees, their roles as pollinators and their fascinating relationships with flowering plants. The workshop will take place at Carymoor Environmental Centre, Dimmer Lane, Castle Cary BA7 7NR. Charge: £25. To find out more or book a place, call 01963 350143 or email .